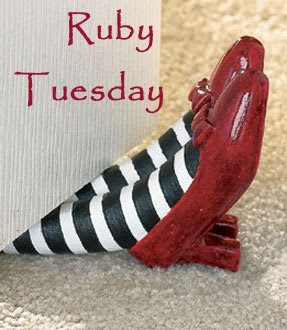 Here we are at another Ruby Tuesday! How do you like these thumbnails for this week? They all did a nice job, yes? Mr. Liiiinkyyyy? You around anywhere? Scarlet Begonias and a touch of the blues! I love that song. Nice shot Mary, and a great collection of memories to go with it. Ruby Tuesday #47: "Run, Don't Walk"
Holy smoke, whre is mr.Linky? Oh that Mr. Linky--I miss him so. Mr. Linky doesen't work once again, so I'll link my pics in here in my name in the title Nukke said. Could you link my pics then to Mr. Linky as I am now already send my pics here ??? I DO love red begonias! Ah, the missing Mr. Linky strikes again. Red flowers are always welcome, Mary! Bregonias are such pretty plants and this red one is no exception! So surprised to see my little car -thanks much! This seems the safest approach! There is just something so lush and rich about a healthy, at the peak of bloom begonia. Mary love the snapshot of others work. Thanks for the memories. I find both your red begonia and the ditto pelargonium beautiful. These old fashioned flowers bring so many delightful memories. I love the begonias. My mom used to grow them, I don't see them much anymore. My ruby red post is up here. What a beautiful soft red! I love the car you chose to feature also. Beautiful begonias! Nice closeup photo. 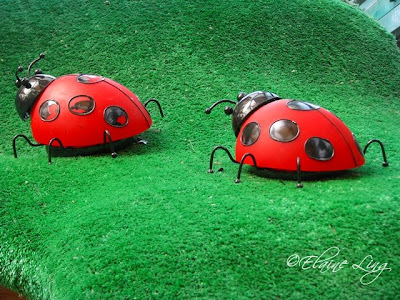 I love those lady bugs..missed them last week. Me no see Mr. Linky. These natural flower petals are red, of course, but the finish and texture of the flowers looks like silk...but in a natural kind of way! Yay! Mr. L. has returned. I love the flower macros. I've got Cars, cars, and more cars!!! There's even a Ruby Tuesday car badge for the boys who don't want sparkly shoes! Nice flower Mary. Well done. 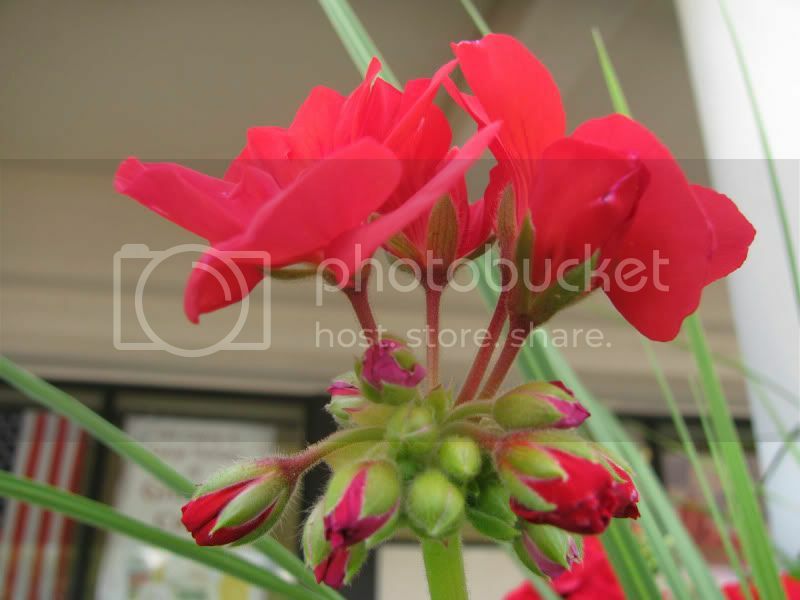 Nice red flowers, are they grown by you? Happy Ruby Tuesday Mary, do feel better soon!! Beautiful scarlet begonias and some of my favorites..
Love your Begonias Mary. I have some just like it. Beautiful, healthy begonias! Even better close-up. Fun pics. 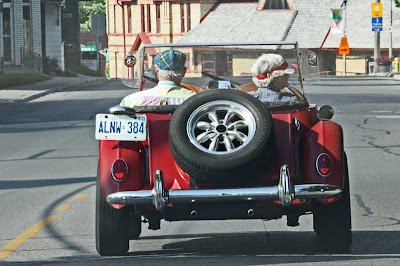 That backbag looks painful..., I'd rather drive that old timer. Thanks for hosting this party. It's my first time here. I am sure someone else has mentioned that the bottom one is in fact, a geranium, but you don't feel well so I don't want to say anything, myself. Lovely photos! Feel better SOON! i hope you're feeling better, Mary. love the vibrant shade of red! I love your flower shots. Beautiful!! I hope you're feeling better! Did you 'see red' when the dentist drew near? That's what I want to plant next year in my flower pots in the garden ! beautiful ! It's awhile since I last saw begonias! These are so bright and breezy and refreshing! I have a red Daylily for this week. 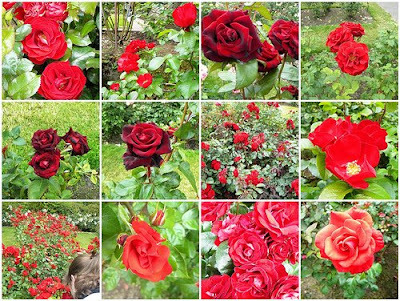 Mary those are some seriously red Begonias love the vibrancy usually I like roses for red but that color is not blood red its fire red! very nice! beautiful shots! I love the little spring riding truck. Nice begonias...such a pretty red. 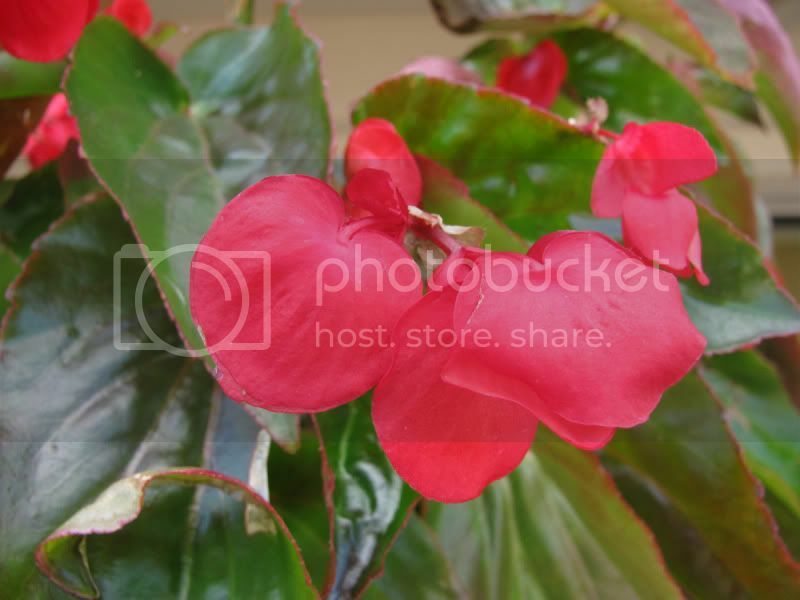 Love the red begonias. Hope the mouth is feeling better. These look like unusual begonias... my mom really loves to have them in planters in the summer. We don't have any yet in the new house. In case Mr. Linky is sleepy still... my ruby is up but late here. I get it now.... My post is at http://smalltownimages.blogspot.com Please go see what it's about!!! My (late) RT post is here with the recipe: Fresh Salsa. Mary, I hope your recovery is speedy! Beautiful red Begonia's, perfect Ruby Tuesday offerings. hmmmm my link didn't work properly. Loved seeing all of there! Also-I couldn't find Mr.Linky to sign in!! Hope some of you will visit me anyway!